The use of cell phones and texting while driving are not the only culprits of distracted driving. Distracted driving is a major cause of car accidents. Distractions caused by cell phones and texting are not the only culprits. Music systems, in-vehicle electronics with LED Screens, GPS devices, and smartphones also cause driver distraction. The National Highway Traffic Safety Administration (NHTSA) has campaigned against distracted driving, including enforcing cell phone bans and in-vehicle distractions. In addition, the NHTSA has suggested introducing new typefaces and fonts that may reduce distractions while driving. 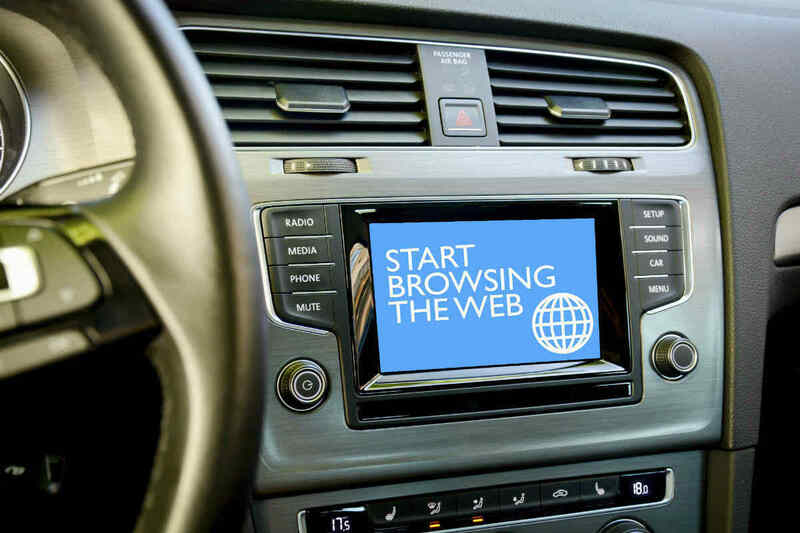 Research has shown that certain fonts used for in-vehicle electronics can cause driver distraction, leading to car accidents. The Washington Post recently reported that motorists, in an attempt to read the text on GPS devices, keep their eyes off the road for longer periods than necessary. Small fonts and insufficient or bright backlights can make it difficult to read the device, especially for older drivers. Typeface companies, such as MIT AgeLab and Monotype, have conducted research on how differences fonts can affect drivers. Test conducted on drivers on simulated courses, revealed that while looking at small navigation screens, traditional typefaces of the grotesque genre compel drivers to look away from the road, more often and for longer than those of humanist genres. It showed that drivers ended up driving for almost 50 feet more at highway speeds. It also revealed that male drivers were more affected by the grotesque typefaces. Based on this research, Monotype invented a new font called Burlingame. This font has already been implemented by some car manufacturers in their in-vehicle electronics systems. The Federal Highway Safety Administration (FHSA) has also worked with Penn State researchers to create a font called Clearview. The font made road signs visible from a distance that was 20 percent more than that of traditionally used fonts. Clearview has since been voluntarily implemented by some states on their highway signs. Drivers are advised to exercise caution while using in-vehicle GPS navigation systems. Always be aware of the dangers they pose. Using such devices or using cell phones and texting while driving can cause accidents, endangering the lives of others on the road. If you are a victim of a car accident caused by a distracted driver, consult a St. Louis automobile accident lawyer to know your legal rights. Call The Hoffmann Law Firm, L.L.C. at (314) 361-4242.